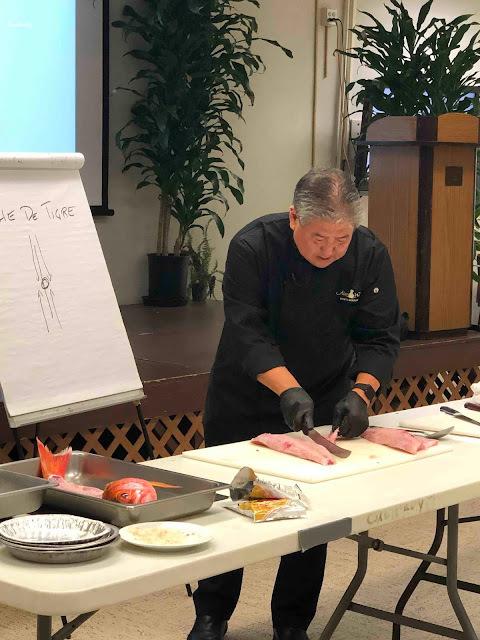 Earlier this week I dropped in on a Fish Butchery Master Class with world-renowned Chef Alan Wong at Hawaii Community College, which was sponsored by the Hawaii Culinary Education Foundation. 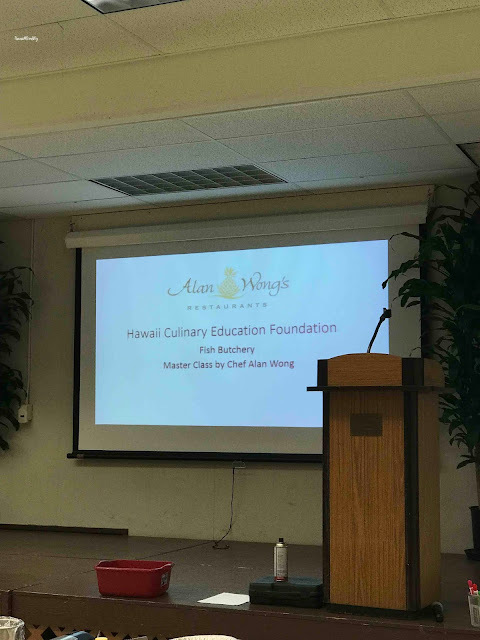 The Hawaii Culinary Foundation is "a nonprofit corporation and 501c3 tax exempt organization, championing culinary education in Hawai‘i. 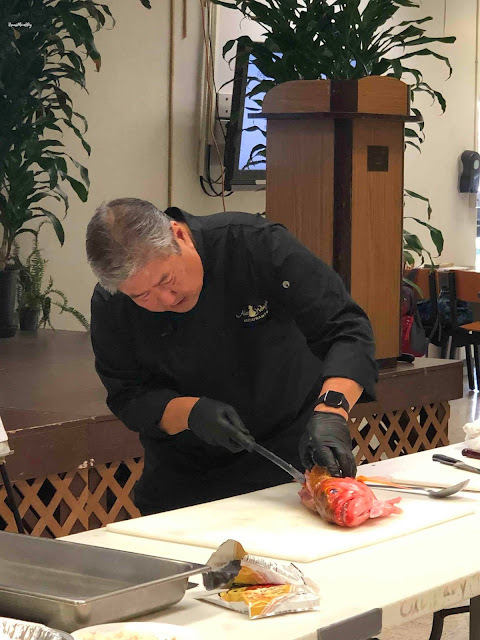 The Foundation provides Hawai‘i’s culinary students access to cutting-edge knowledge and techniques through programs featuring visiting chefs, educational opportunities, center of the plate programs, master classes and special fund-raising events," according to the website. 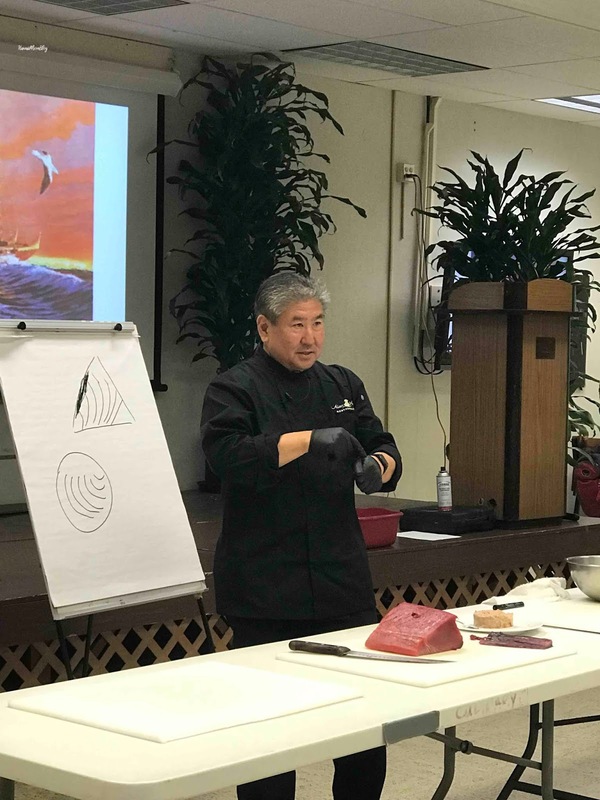 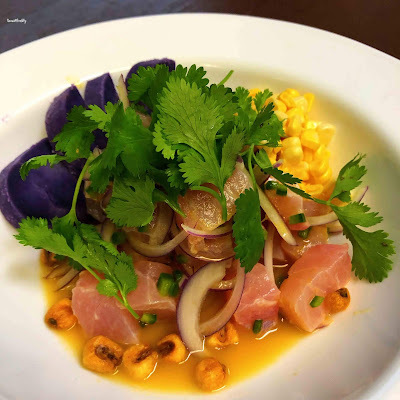 During this class, students not only learned about fish butchery and cooking techniques, but they also learned a brief history of food in Hawaii. 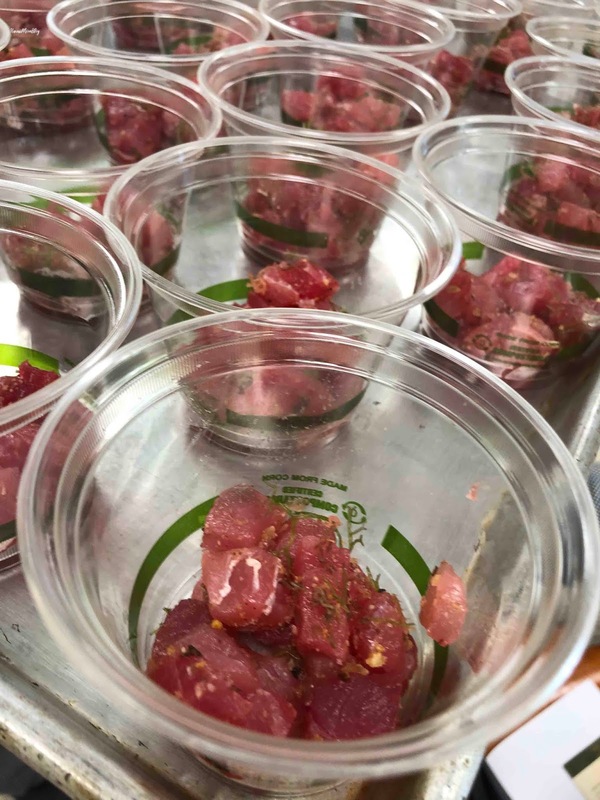 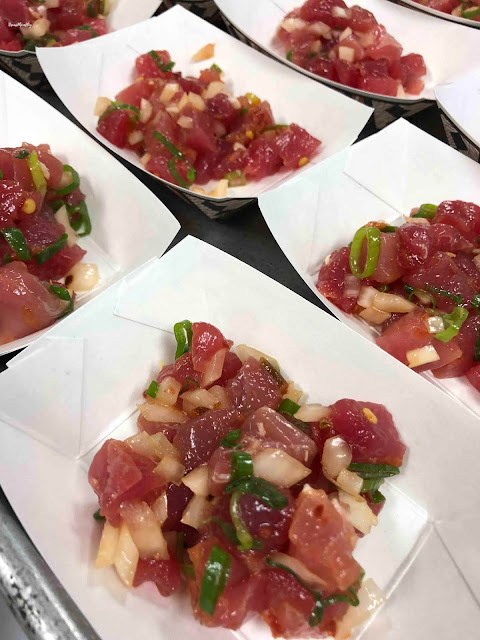 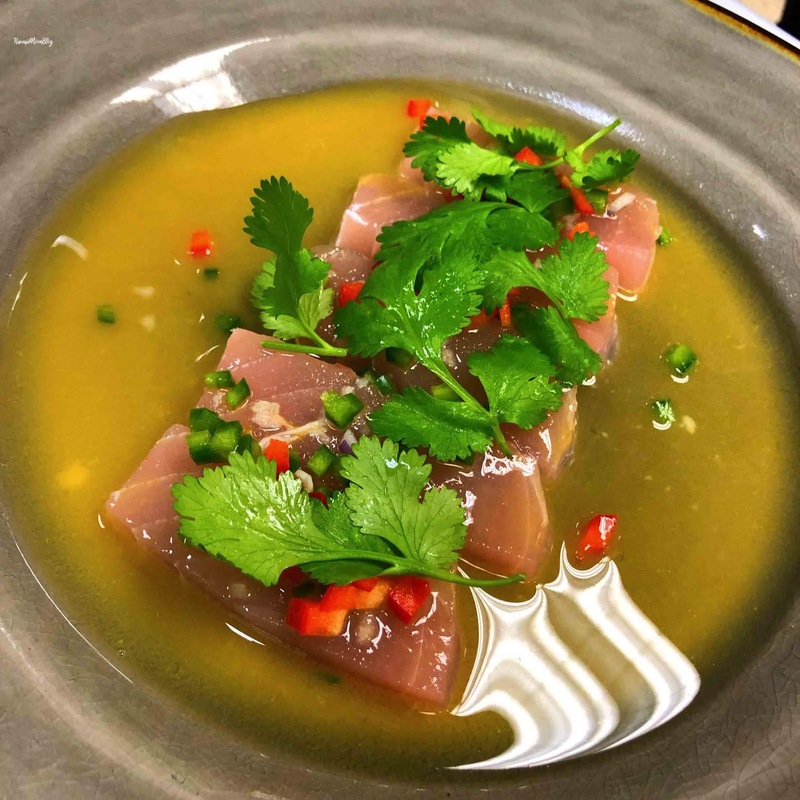 The students also sampled some of Chef Alan's creations, including two different types of poke, as well as two dishes inspired by his recent travels to South America. In addition to culinary skills and techniques, the students were also taught valuable life lessons. 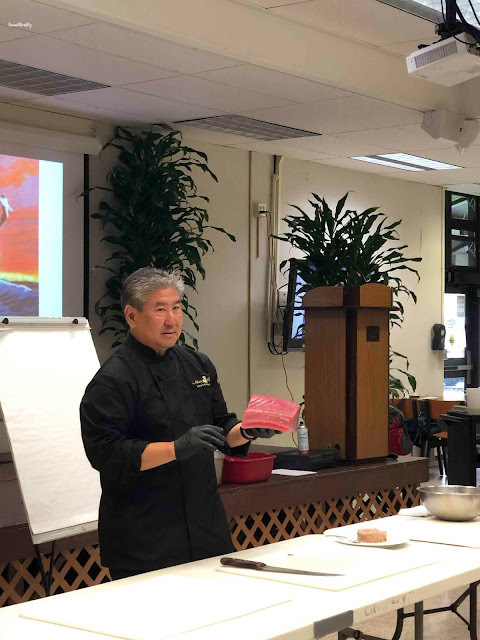 Chef Alan's life lessons can be translated through all sorts of industries - not just culinary, and his personal stories and experiences are ones that everyone can relate to in some aspect. Although I have no culinary background whatsoever, I found the class very educational and insightful, and what I appreciated most were Chef Alan's stories on resilience and perseverance. I think it's fantastic how the Hawaii Culinary Education Foundation offers opportunities for culinary students around the state to have access to acclaimed chefs and other industry experts. Contributions to the Hawaii Culinary Education Foundation benefit the numerous culinary arts programs around the state, helping to better prepare students for a future in the culinary industry. 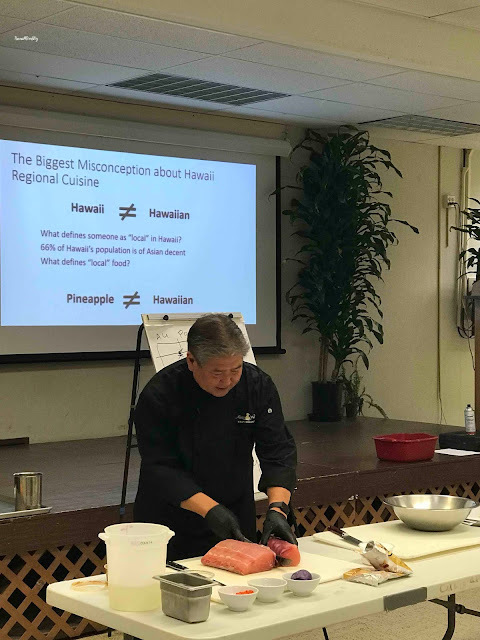 For more information on future events, or how you can contribute, visit https://hawaiiculinaryfoundation.org/.